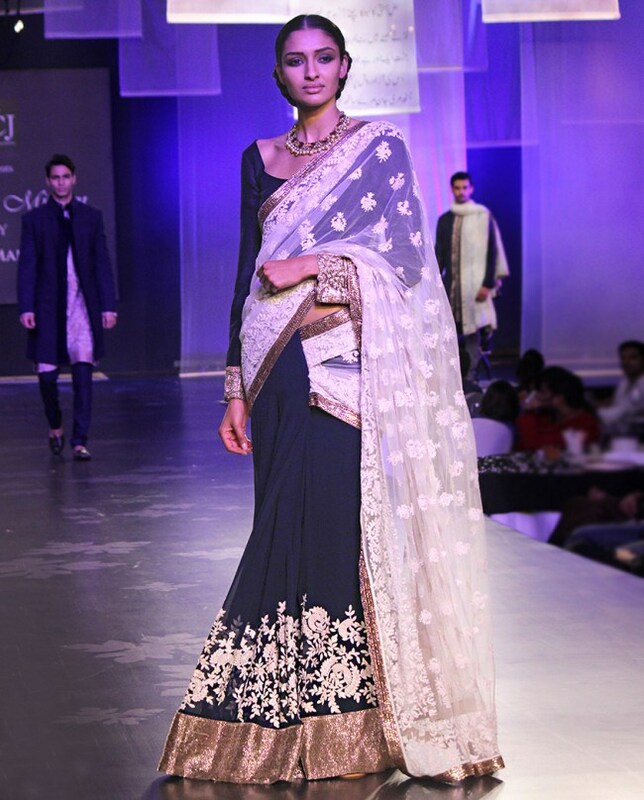 Manish Malhotra is the huge name of fame in the Indian Fashion industry. Every year he stuns the audience with each of his latest collections. Party wear dresses, latest lehenga choli and yeah! Of course, the beautiful and alluring saree collection by Mr. Malhotra attracts the huge amount of ladies even from the showbiz. 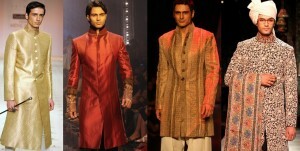 Many of the Indian celebrities are seen wearing dresses from the very special collection of Manish Malhotra. Whether its red carpets or Movies premier, Indian female celebrities love to carry Manish’s collection. This year Manish’s latest collection of sarees again got the spotlight due to its charming soft hues with its delicate cut works. 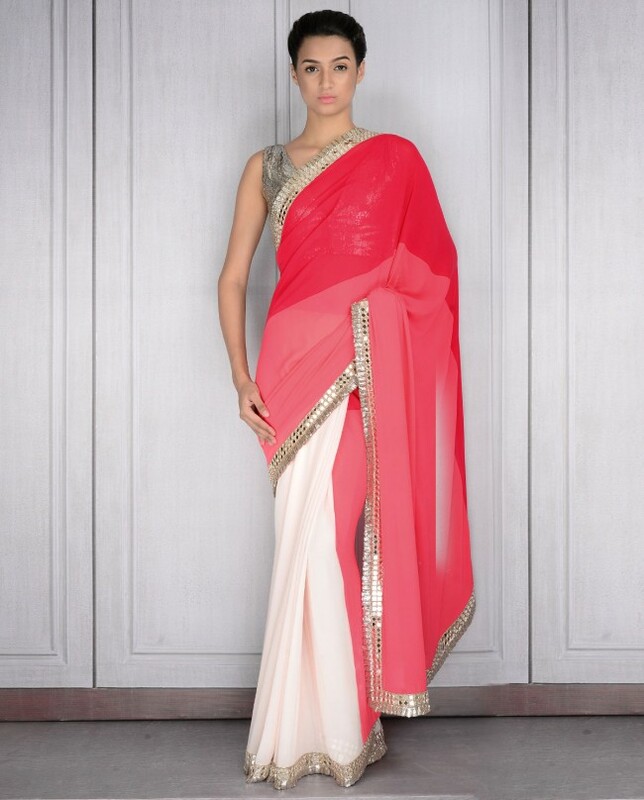 we will share the Latest Manish Malhotra Latest Designer Saree Collection! 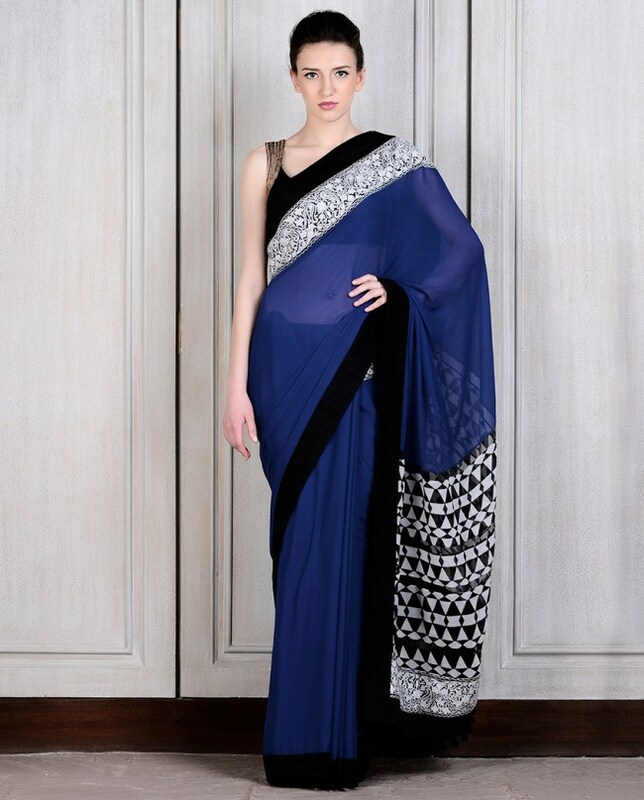 In India, when it comes to saree, everyone loves to carry it once in a while, especially in formal events. From young girls to old aunties, saree is equally in demand by all. Many of the ladies admire this dress because of its graceful and attractive outlook. But it takes a lot more skills and potential to craft a beautiful saree with its amazingly stylish drape. Traditionally it was worn casually by the majority of the Indian women, but now sarees have become one of the style icons in India as well as in Pakistan. The latest Manish Malhotra Latest Designer Saree Collection, going to hit the fashion market with all its glitzy and glamorous styles. 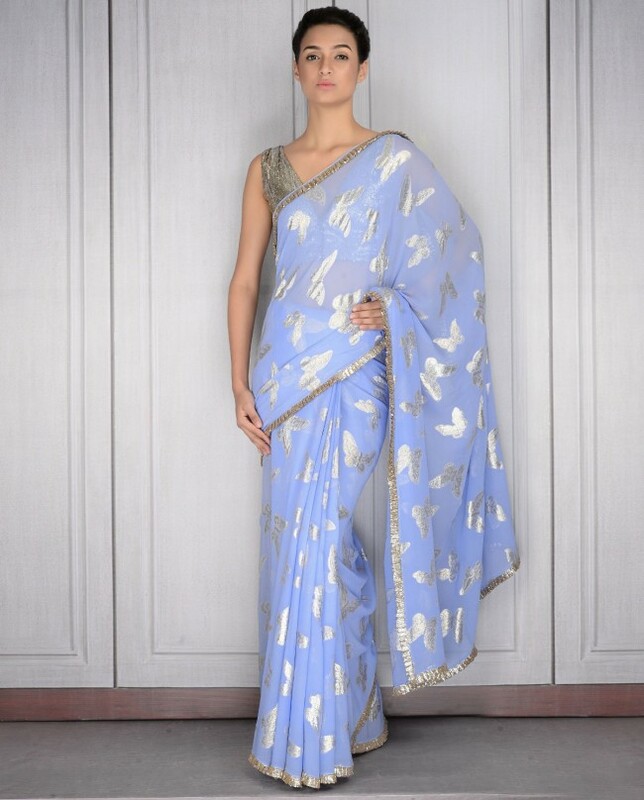 He has brought out a new series of sarees that can serve best both to the casual and formal occasions. 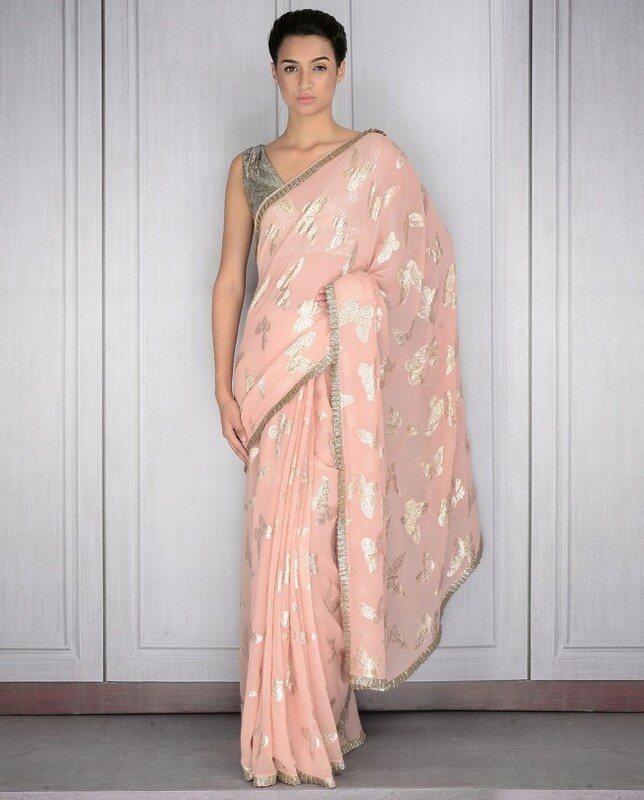 The beautiful glittery touch on soft colors and the ombre effect on the drapes giving these saree a fabulous look. 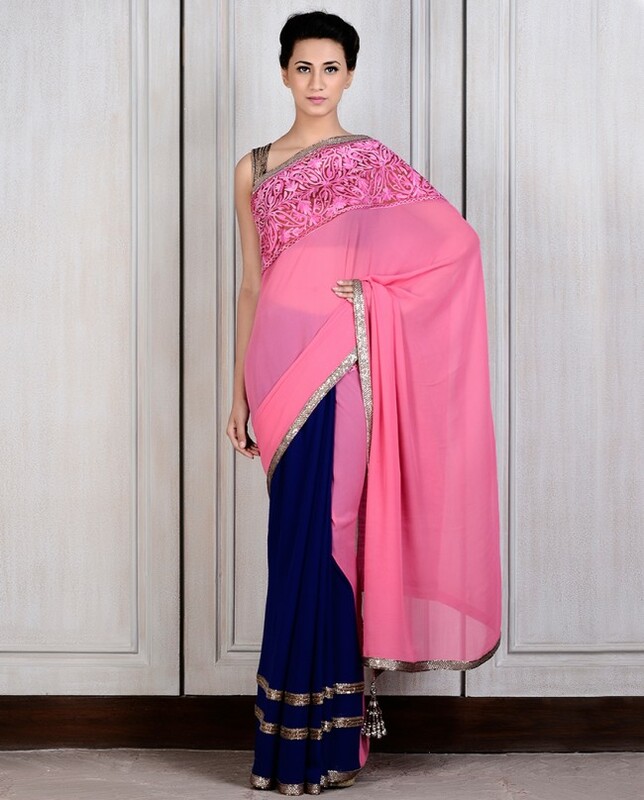 From salmon pink, peach and beige to bold black, blue and red these sarees carry all the stunningly attractive hues. The ombre touch and diffusion of various colors into one bring great elegance to the dress. Beautiful, delicate and amazingly designed saree blouses compliment the fall of the drape. These blouses are specially designed in the house of Malhotra to bring a blend of style with shine. With deep necks and sleeveless blouses the glamor has become the new name for this assortment. Surprisingly the collection highlights the fine work of embroidery at the borders only which makes it completely suitable for all type of occasions. However, Sarees designed for more formal functions like weddings are designed with heavier embroidery and glittery work with heavy floral patterns at the bottom. 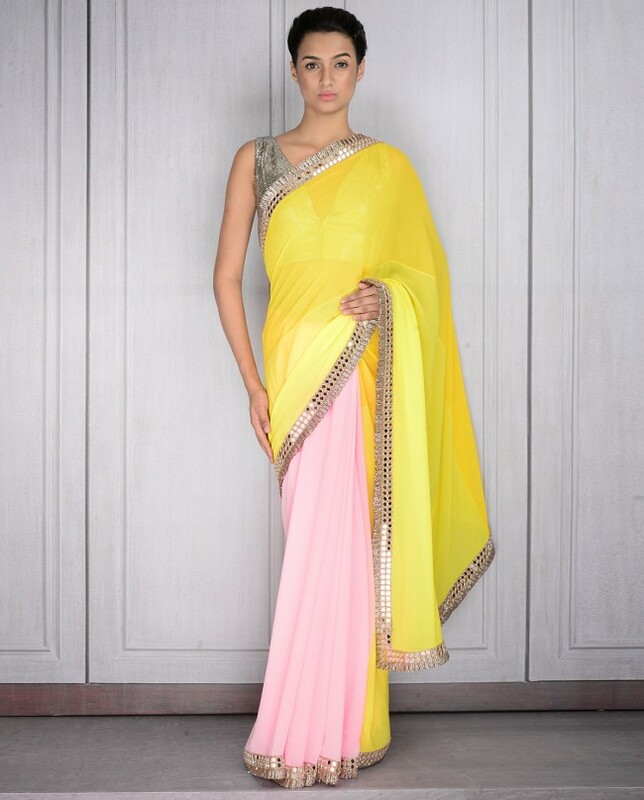 The contrast of various colors in each saree gives them a unique appeal. Manish Malhotra’s latest styles of sarees 2018 was showcased at the LAKME fashion week for the first time. All of the sarees are crafted with special care and level of creativity. The selection of fabrics makes it unique and remarkable. Fine, thin and delicate series of fabrics including chiffon is the distinctive feature of this latest series. Perhaps the latest collection of saree is going to be the hit of the year due to its extraordinary range of designs, styles, colors and long drapes with wonderful work of border embroidery.